Apex Shears has an extraordinarily broad and comprehensive range of products for Paper, Paperboard Industry. 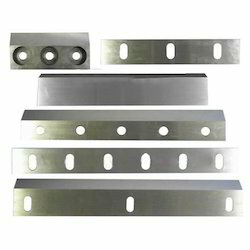 Apex’s factories can supply virtually all types of cutters, knives and knife-related components. Simplex, duplex and high speed synchronized cutters.Maximum length of 4400 mm in single piece.Engineered for high speed operations.Precision ground and honed.Extra fine surface finished with correct cutting and relief angles to ensure longer life. Paper sheet cutting. The sheeter knives moves in a rotary movement effectively cutting sheets of paper material to exact specified length. The sheeting process generally consists of two blades working together. At the point of cut they work like a straight shear blade, but the rest of all points before and after they work like the whole rotary blade. Paper sheet cutting. The sheeter knives moves in a rotary movement effectively cutting sheets of paper material to exact specied length. 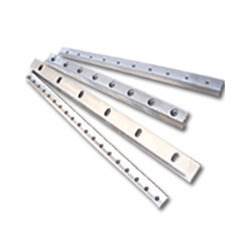 We are one of the most renowned manufacturer and supplier of sheeter knives. Ink mixing knives are manufactured in one piece from durable polypropylene making them tough, flexible and solvent resistant. With rounded edges, there is no risk of damaging rubber, plastic or Teflon parts on the press. Very popular with press operators, the special blade angle and light weight make them easy to use.